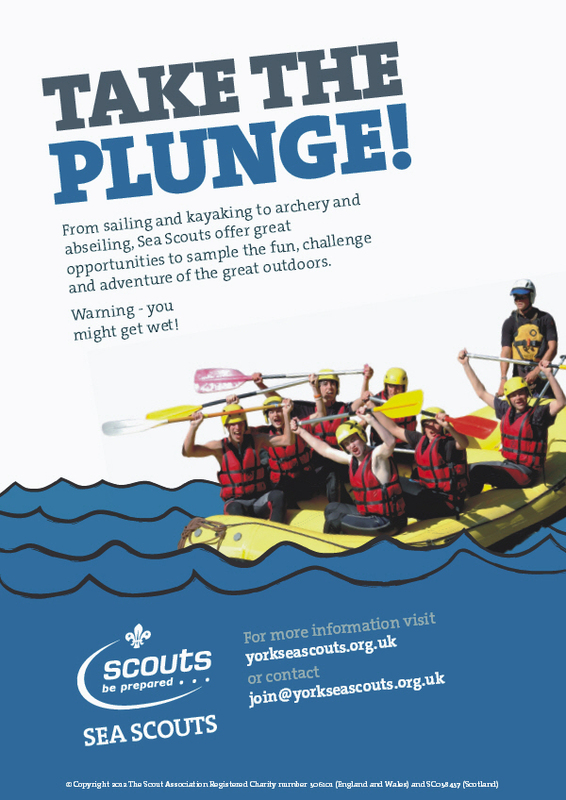 Scouts can achieve a large and varied range of challenge & activity badges that cater for every taste, skill and capability. 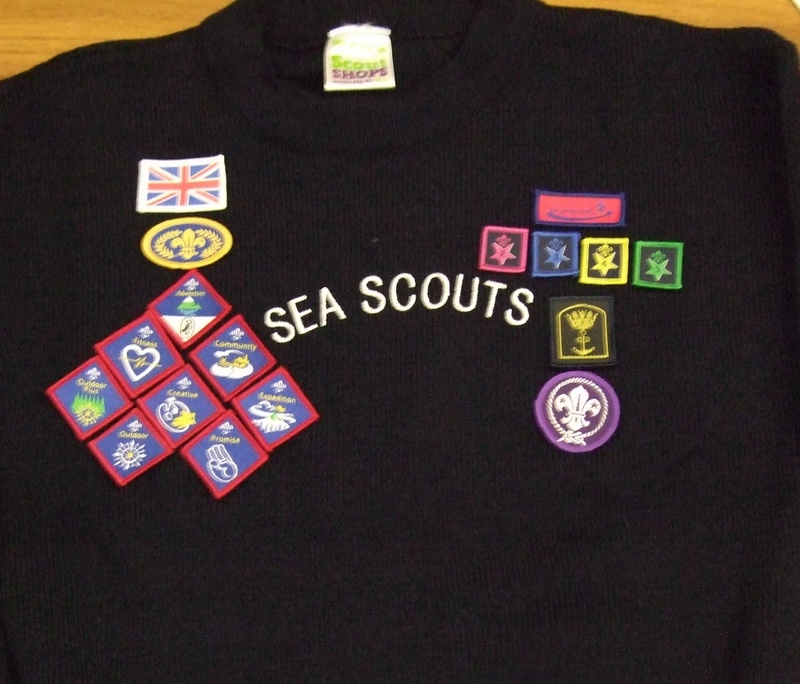 There are also core badges for joining or moving on from the Troop, or for time spent in the Scouting movement. Check out our Badges page for more details. 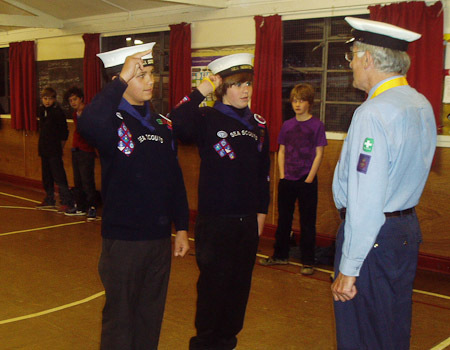 We also charge a one-off fee payable when the Scout is formally invested into the Group (unless moving up from Cubs). This helps to cover the cost of the hat, jumper and necker provided and any badges earned throughout your child’s time in the Group. 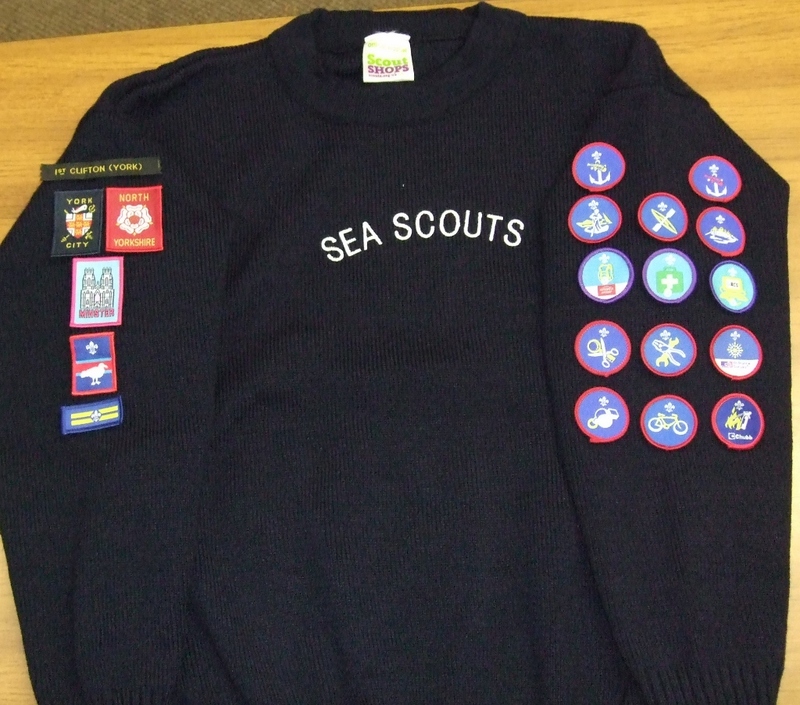 Sea Scout jumpers and hats are costly items of uniform so we ask that these are looked after carefully and returned to the Group to be reissued when/if your child leaves Scouts. If you would like to purchase your own jumper or hat (or make a voluntary contribution to help us with the cost of providing these), please get in touch with the scout leader.